While golf has been played in these parts since 1890, the new course that was created in 1998 became fully operational in July 2000. The golfer will capture spectacular vistas of the St. Croix River and then as they come down the slope of the tricky, wind-swept par 3, 12th hole, will be afforded a sweeping view of Saint Andrews harbour. By the time they reach the Clubhouse, situated on a knoll looking out over the town and Navy Island, they will have earned a well deserved break. Enjoy! The “new” Algonquin Golf course designed by award-winning architect Thomas McBroom has created a golf masterpiece in a spectacular seaside location. The “new” facility incorporated the land from the original 18-hole and 9-hole courses plus additional 50 acres and transformed it into a world class golf course measuring close to 7000 yards and playing to a par of 71. Included is a full service Golf Academy with a 20 acre practice range, a separate short game area and a putting green. The golf course has been recently rated as the top course to play in the province (rating by Borseman). 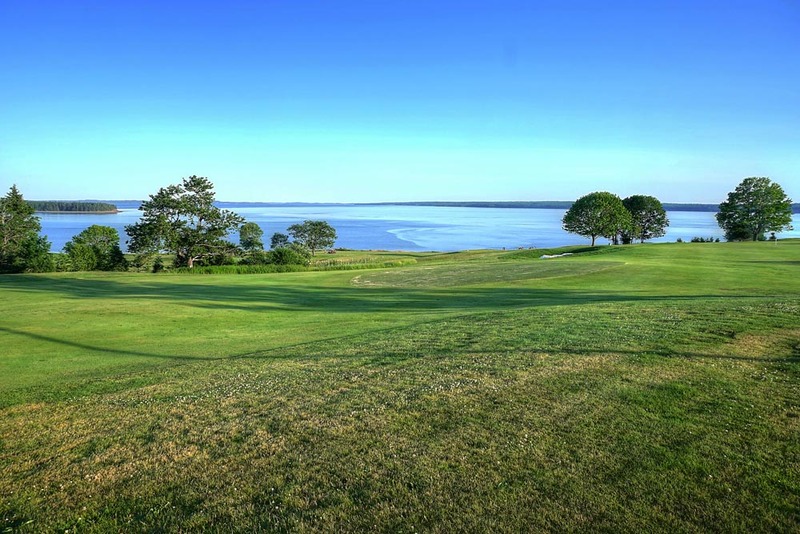 Other courses in Charlotte County include the St. Stephen Golf Club, the St. Croix Golf & Country Club in Calais, ME and the Campobello Herring Cove Provincial Golf Course. For variety, another six courses are located in the Saint John area.